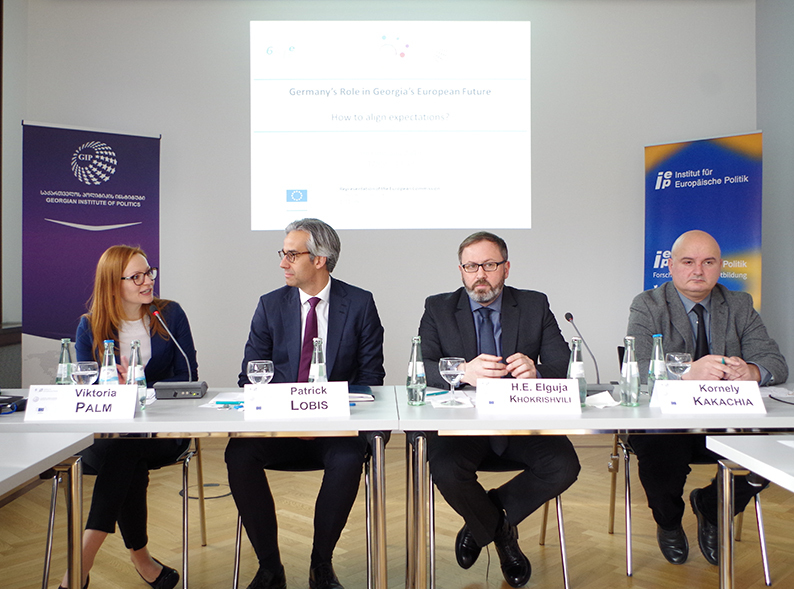 On February 8 the Georgian Institute of Politics (GIP) and the Institute for European Politics (IEP) jointly organised a public event on “Germany’s Role in Georgia’s European Future: How to align expectations?” in Berlin, Germany. 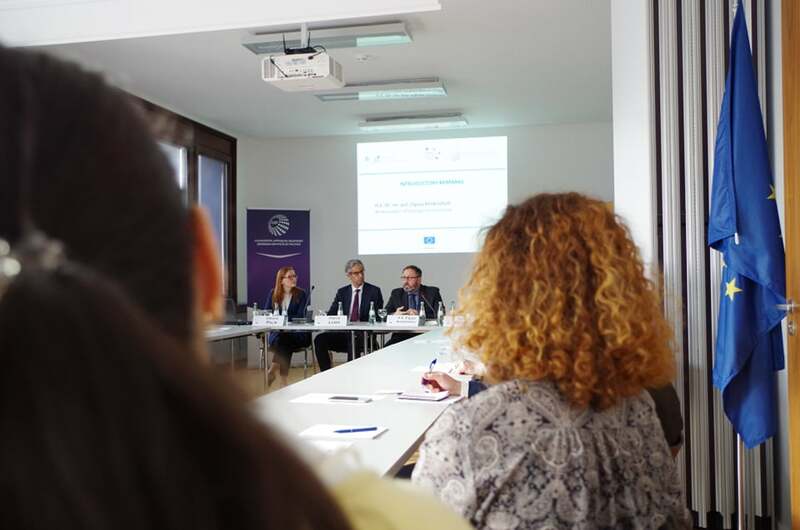 The event brought together more than 50 German and Georgian participants, including representatives from think tanks, universities and other research facilities, civil society organizations, NGOs and diplomatic missions. 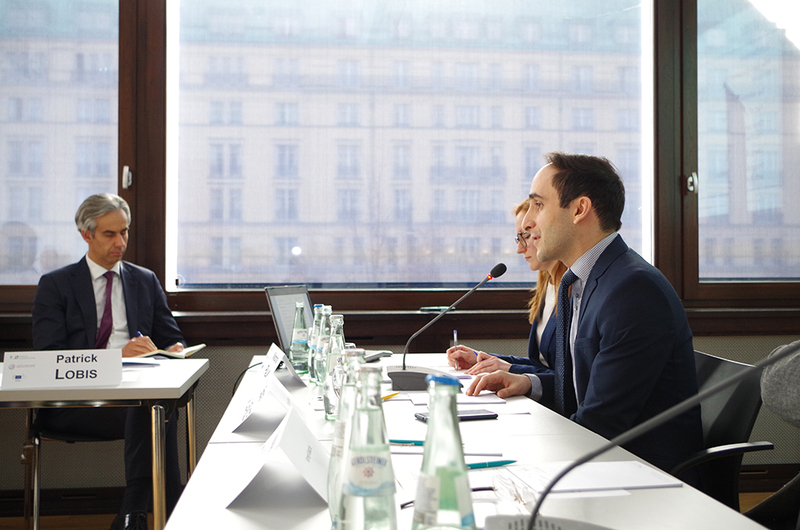 The main topics of discussion were the current state of affairs regarding German-Georgian bilateral relations and the role of Germany in Georgia’s Euro Atlantic integration process. Patrick Lobis (Head of the Political Team, European Commission’s Representation in Germany) welcomed the guests and stressed the importance of deepening relations between the EU and Georgia. His welcoming remarks were followed by an introductory keynote speech by H.E. Dr. rer. pol. Elguja Khokrishvili (Ambassador Extraordinary and Plenipotentiary of Georgia to the Federal Republic of Germany). H.E. 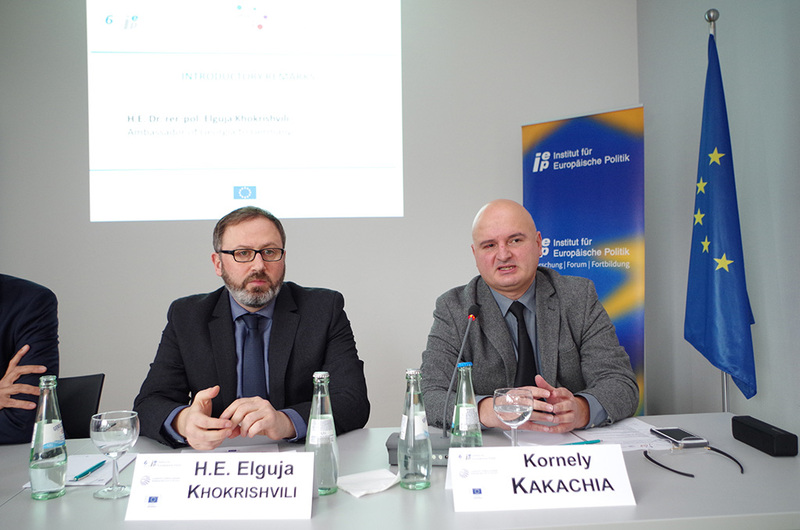 Dr. Elguja Khokrishvili underlined the significance and irreversibility of the process of Georgia’s European integration and Germany’s important role in it. 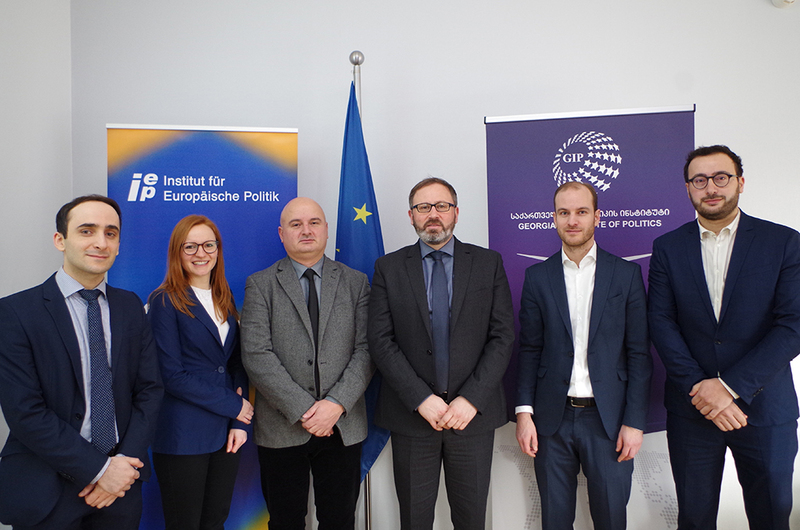 The introductory remarks were followed by a presentation of a draft paper on German-Georgian relations written jointly by GIP and IEP. 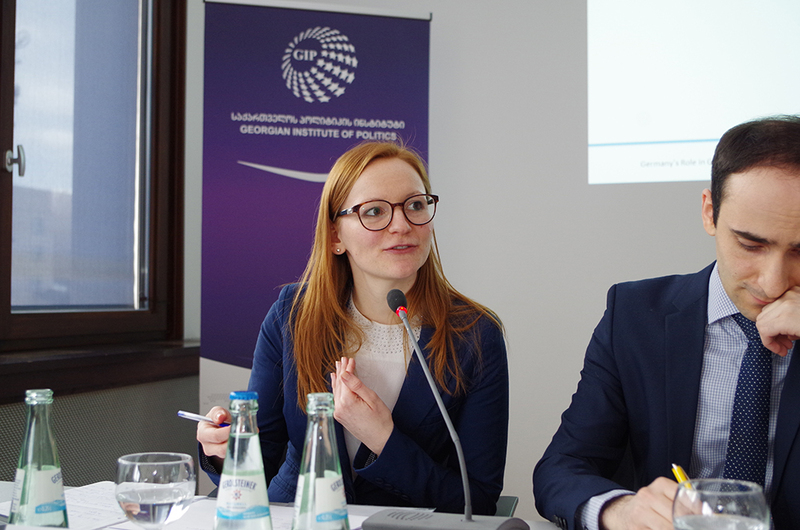 While stressing the overall positive trend in bilateral relations, Viktoria Palm (Research Associate at Institut für Europäische Politik) and Dr. Bidzina Lebanidze (Georgian Institute of Politics) focused mostly on problematic parts of German-Georgian partnership. The authors of the paper unpacked the main issues of discord between two countries and proposed recommendations to German and Georgian governments on how to overcome them. 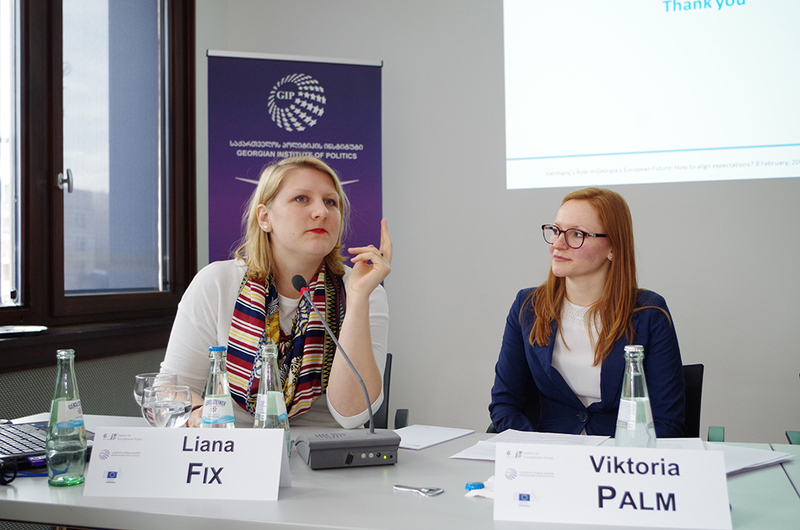 Viktoria Palm highlighted the importance of aligning Georgian-German expectations and eliminating the limbo of mutual misperceptions that exists between the two countries. According to her, among other steps, Georgia should invest more resources in deepening diplomatic relations with Germany, while Germany should follow through on its new “Ostpolitik” as promoted by Foreign Minister Heiko Maas. 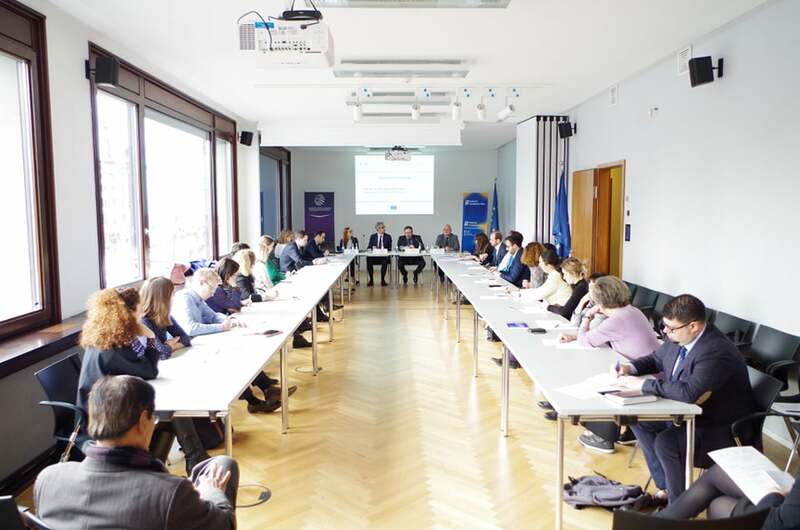 The presentation of the paper was followed by a panel discussion with the participation of Dr. Kornely Kakachia (Director of Georgian Institute of Politics), Liana Fix (Körber Foundation) and Dr. Franziska Smolnik (German Institute for International and Security Affairs (SWP). 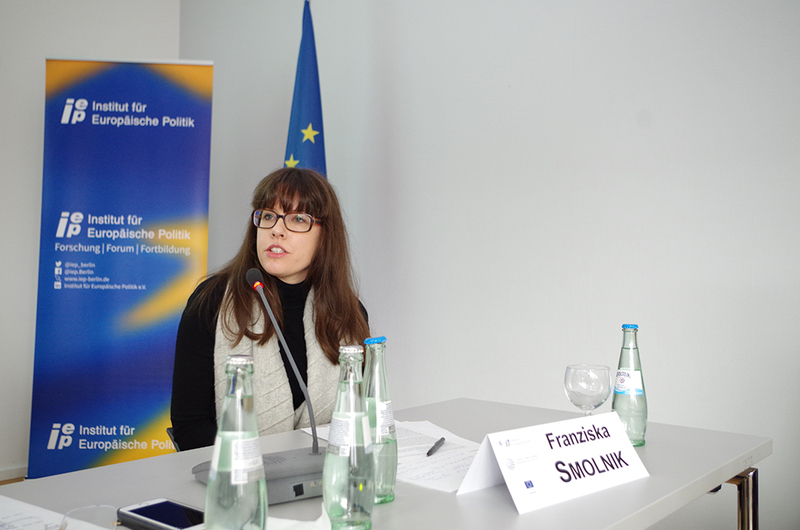 The discussion was moderated by Viktoria Palm (Research Associate at Institut für Europäische Politik). All participants stressed the importance of a sincere and open dialogue on problematic issues between Germany and Georgia. Liana Fix and Dr. Franziska Smolnik argued that many structural weaknesses at the national and EU level as well as new and old global challenges are keeping Germany from devoting enough time to Georgia’s concerns. According to Liana Fox, Germany recently have found itself in a new and more hostile environment marked by the disengagement of the US administration from Europe and the reemergence of the Russian threat in the East. As a result, sometimes small countries like Georgia do not get enough attention from Berlin. However, deepening political dialogue and closer relations between the two societies could contribute to overcoming many of the mutual stereotypes and misperceptions. 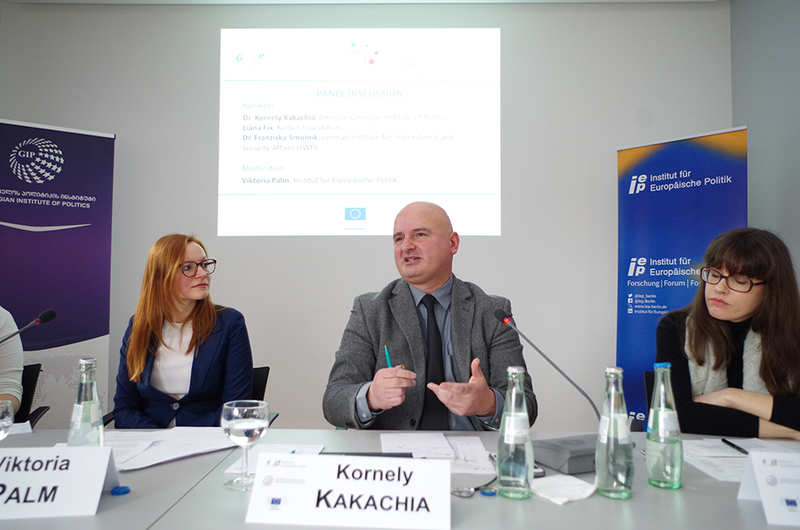 Dr. Kornely Kakachia stressed that the Georgian public understands the current mood of enlargement fatigue in the EU and does not expect EU membership in the short-term, but Germany and the EU could send stronger signals of political support through its acknowledgement of Georgia’s European perspective. Dr. Kakachia also stressed that Georgia’s deepening relations with Germany had special importance in the context of implementing the Association Agreement with the EU and the substantive package that was at last offered by NATO. The keynote speeches by panel participants were followed by lively discussion with the audience. The participants further stressed the lack of communication the two societies. 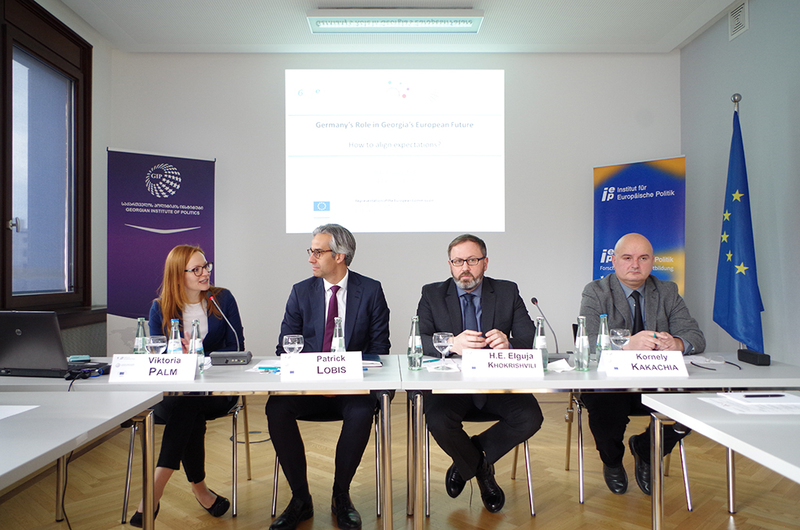 German participants claimed that Germany’s position is often misunderstood in Georgian society and communication channels between the two countries should be improved. Georgian participants agreed, noting that whereas Germany does more on the ground than many other Western countries, the lack of strategic communication and weak political messaging by Berlin deprives German engagement of most of its public visibility. 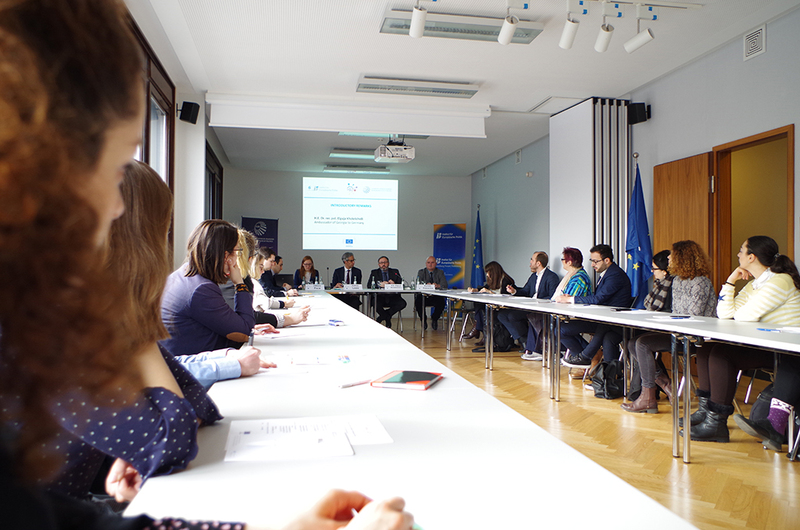 The event in Berlin was organized in the framework of the project “Europeanization beyond process”, funded by Open Society Initiative for Europe (OSIFE).